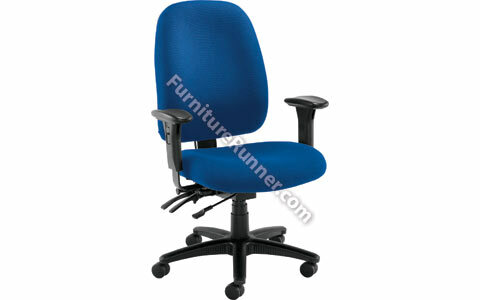 Avior High Back Chair has a recommended usage time of 24 hours. Seat dimensions: W530 x D510mm. Back dimensions: W490 x H580mm. Seat height: 450-540mm. Adjustable arms included.